A simple change of DNS is all that’s required to use CloudFlare as a CDN and file optimizer. So far, the service has proven to be an excellent choice for a free CDN and file optimizer. The service seriously changes the speed of the sites I’ve configured. I did have some intermittent slow time while DNS was propagating, but I expected it. The security/threat setup is also really neat, especially if your site sees many spam users or bots. While it might tak some getting used to, especially with regards to toggling development mode, it’s going to be hard to beat on the speed and reliability front. I highly recommend following the CloudFlare twitter feed for the company and their system feed for status updates. To root the Cincinnati Bell Blaze (Commtiva Z71), install the z4root app via sdcard. Click the root button and let it do it’s thing. Viola – you have a rooted device. It will reboot and install the SuperUser app. Done with this step. Install this through the sdcard. Once installed, you can flash ClockworkMod Recovery on the device. After it’s flashed successfully, move the ROM of your choice to the root of the sdcard. One of the Z71’s we have wouldn’t run the latest cyanogenmod 7 stable release – it installed fine, but the touchpad simply didn’t respond at all. The other device installed it and worked fine, except the battery would drain (even at idle) at the rate of 10% per hour. Unacceptable. Pity, too, because the ROM was very cool. The first device was then flashed with theAndroid 2.2 version of Firetrap JellyBean and is running perfectly with an unreal battery lifespan. Really. Unreal. The second device (mine) was flashed to the SuperAOSP 8.6 rom (Android 2.3.4), and everything went smooth except the network connection couldn’t be made, nor could the wireless. To get around this, it had to be flashed to JellyBean, then to SuperAOSP. Everything works great now and the battery life, like JellyBean, is unreal. It’s far superior to the CM rom on this device. Copy the update-cm-7.1.0-Z71-signed.zip AND the gapps-gb-20110828-signed.zip file to the root of the sdcard. From the RomManager app, choose Install zip from sdcard. Select to wipe data/cache, factory reset, wipe dalvik cache (if it asks you). It will boot into clockworkmod recovery and install the rom. Device will restart and you’re done. I understand that flashing other kernels will help with battery consumption, which was my only issue, but I elected to choose another rom. You’ll need to install the SUTLR software on a Win machine. Boot your device into download mode – hold red button + vol up + power. When you get to a black system screen and it is polling every few seconds, you’re where you want to be. Start the SUTLR software, locate the .nbo file, and select to wipe/reset data and click Next. All done. ROM is now flashed and you’re running Android 2.2 Firetrap JellyBean. You could stay here and be happy with excellent battery life and stability. I had to flash the JellyBean rom before I could install this one. It doesn’t take a long time, so to be on the safe side, follow the JellyBean instructions before doing this one. Use rommanager to flash SuperAOSP from JellyBean and let it wipe and clear everything. All done. 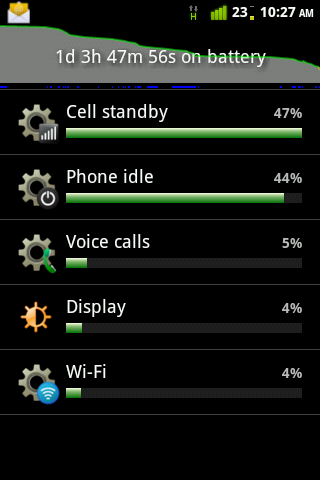 SuperAOSP is what I’m running and the battery differences from cyanogenmod are like night and day. I really dig it, and everything works like it’s supposed to. I have only a few minor criticisms of the rom, but they’re mostly cosmetic and buried in the settings menus. Battery life is impressive. I’m not on my phone all day, but I get exchange email, gmail, sms, mms, make/receive calls, and surf the web without moderation. First, check that your internet connection is currently active. Click the Music Manager icon in your system tray at the bottom right of your screen (Windows), menu bar in the upper right corner (Mac) or notifications area (Linux) to access the Music Manager. On the sign-in screen that appears, sign back in to your Google account. Right-click the Music Manager icon in your system tray at the bottom right of your screen (Windows), menu bar in the upper right corner (Mac) or notifications area (Linux). Restart the Music Manager from your program list. If the problem persists, restarting your computer or uninstalling and reinstalling the Music Manager may resolve the issue. Lastly, you can manually start the process to add music and then use the Music Manager troubleshooter for additional information. After attempting to add music manually, feel free to return your upload frequency to its original setting. If none of the above solve the issue you are experiencing, you can work around the issue by temporarily removing the problematic songs from your destination folder so that the Music Manager can progress to the rest of your library. Well, it didn’t work. What did seem to do the trick was to go to Home directory -> Library -> Application Support and remove the Music Manager directory. Fired the software back up and it’s been cruising right along. Also noteworthy is that my Android phone apparently doesn’t support the Google Music app, so it doesn’t appear in the Market. I located the .apk file on the interwebs and mailed it to my gmail account. From the native Gmail app, you can install the .apk from the attachment. It seems most (maybe all?) apps work like this. My phone runs the app just fine. 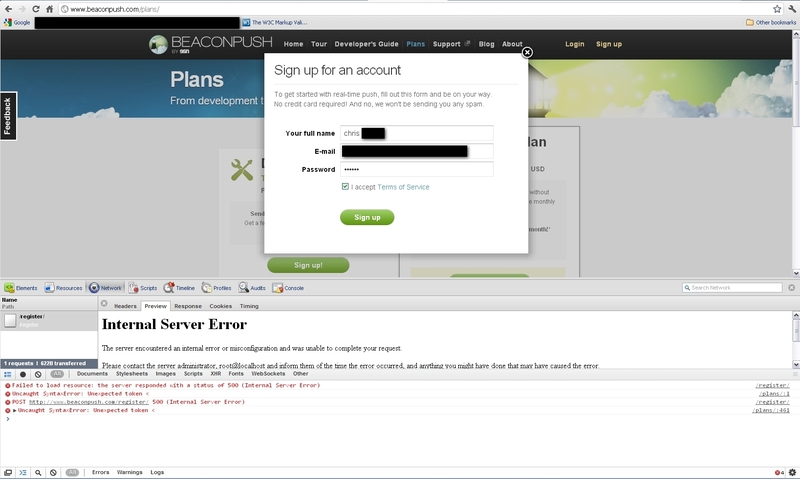 Way to fail, Beaconpush….way to fail. After finally retiring our old Linksys 54G router, we set up a new Linksys E1200 (which is very nice…especially for $50). The Apple (running OS X 10.6.8) saw the new router, asked for the new key, and presto, was in. On the Windows (boot camp) side, not so much. Repeated attempts were all returned with: Windows was unable to find a certificate to log you onto the network. That’s it. Start –> Programs –> Accessories –> Communications –> Network Connections –> Right-click your Connection and select Properties –> Click on the Authentication tab –> Disable / uncheck the option IEEE 802.1x authentication for this network. I wasn’t able to do this because that box was not checked. After all of this effort and time, it hit me that I keep this Windows install clean and lean, and that it was running SP2. After jumping through the hoops and updating to Service Pack 3 (SP3), Windows immediately recognized the new network and connected.